Win £500 towards a fantastic holiday! All you need to do is upload a holiday photo on our Facebook app. 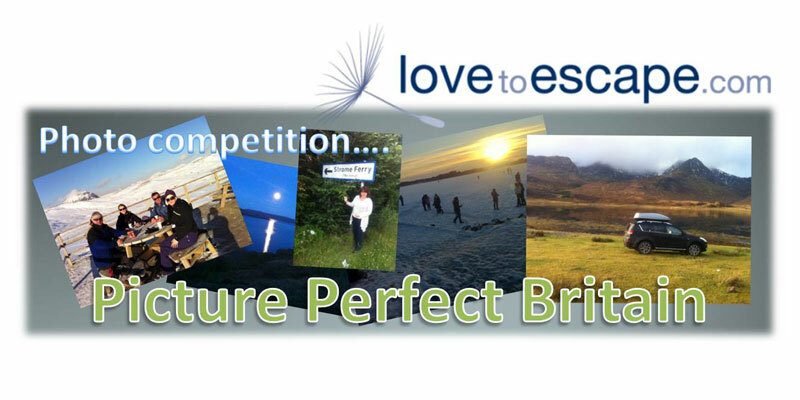 Win £500 towards your next holiday with LovetoEscape (and 4 more great prizes for runners-up). Pop your holiday snaps up on our Facebook app, and those with the most votes win, so get snap happy. Your photo(s) can be scenic, adventurous, ‘just for a laugh’, or just feature ‘a great place to stay’. Entrants are asked to nominate their favourite holiday accommodation in Britain; this must be any of the following: self catering (cottages, apartments, houses or villas), guest houses, hotels, and ‘bed and breakfast’.